The story on this page is a selection of interesting photos in the directory: 2018 Q3 and Q4. The complete set of photos is available at: 2018 Q3 and Q4. 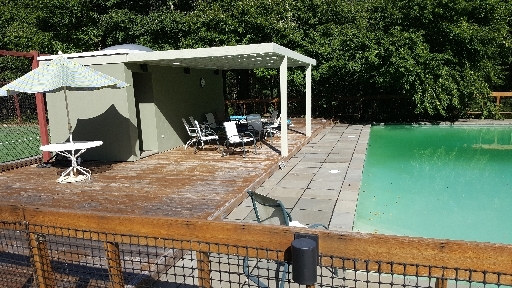 This shows the pool house. The toilet and shower are underground approximately where the white chair is. The building is just the staircase the area underground is much larger. Looking down at the manhole from the height of the pool deck. It is about 8 feet below the deck. Here we look back from the pump basin to the pool house behind the trees. This is inside the pump basin. 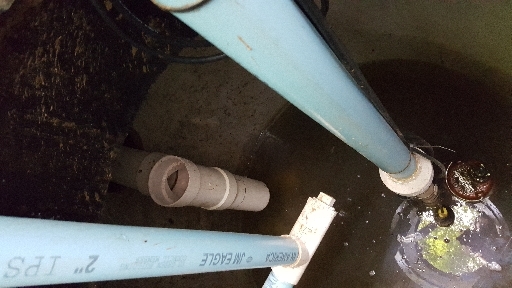 The 4 inch white pipe is where the drain from the pool house enters the tank. It has A T at the end of the pipe. 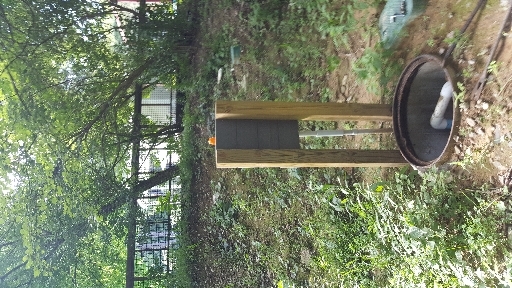 This is where the slow drip was observed in the spring. 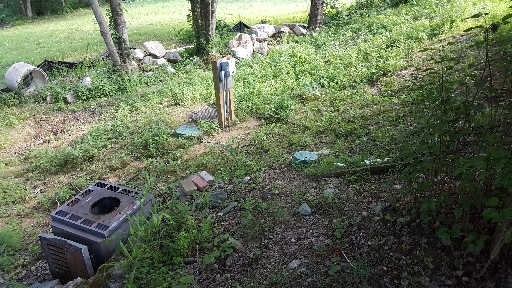 The blue pipes pump up to the septic field. About 6 inches of clean water is at the bottom of the tank left over from spring. 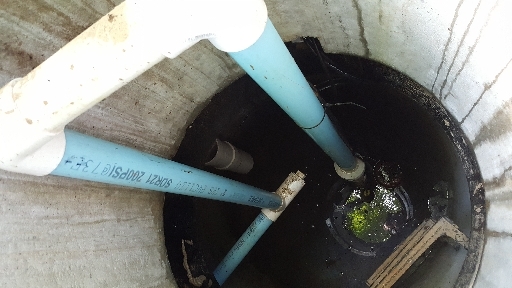 Shows the manhole leading into the pump basin. More photos from 2018 Q3 and Q4.